Considering the kitchen is the heart of any home, it’s important that you find the right mix of functionality and style, so you can not only work with ease, but also love where you work and impress your guests. 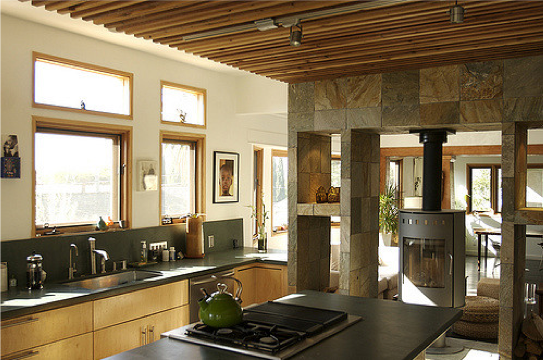 A gorgeous kitchen built without proper functionality is a failure. You need to first realize how you use your kitchen every day, and what is important for you to include in the final design. Sometimes, it’s hard to realize we have a problem or obstacle in our kitchens until its solved or we see a solution somewhere else. In many cases, you will discover that the smallest changes can have a major impact on the love for your kitchen. Take the time to find any areas of your kitchen that are holding it back so you can focus on improving it in the remodel. Spend a little extra time to seek out any improvements in the following areas. Nearly 3 of every 4 homeowner considers having a kitchen island to be a must-have. Do you agree? We certainly do. Designing a kitchen with an ideal island will provide more functionality and efficiency when preparing meals, while also delivering a great design aesthetic to the heart of your home. They’ve become so popular that it’s difficult to find any modern home where a kitchen island isn’t the centre of the kitchen. What Kitchen Design Style Are You Going For? The kitchen is the focal point for most homes — the warm, inviting, central meeting spot. There are several different styles or combinations of kitchen design that you can draw from to transform yours and, in turn, set the tone for your home. So what style appeals to you? 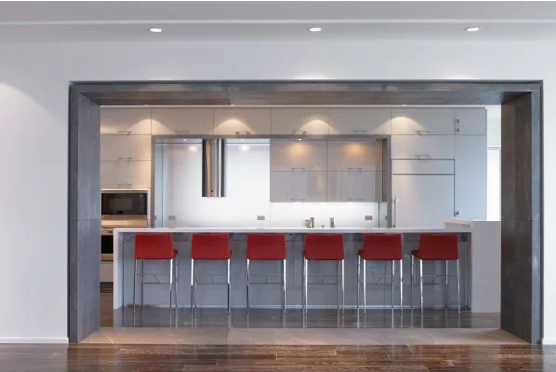 Definitions of “modern” vary widely, but when we think of modern kitchen designs, we often think of frameless cabinets, sleek and simple hardware, strong horizontal lines and minimal ornamentation, with the natural beauty of the materials shining through. Think of the warmth, comfort, and sense of welcoming you would get win visiting a country farmhouse. Bright white walls, open shelving, wide sinks, classic flooring and big kitchen table make them easy to work in and easy to love. This popular style includes elements that are worn and distressed. It rivals the classic white kitchen in popularity, thanks to their fireplaces and timber, stone, and brick elements, along with vintage appliances. Traditional kitchens are defined by their details, which can include arches, decorative moldings as well as corbels, raised-panel cabinets, and mix of antique finishes and furniture-like turned legs — even a chandelier. Whether they have a classic American or old-world flavor, they still carry the stamp of their owner’s personal style. Contemporary kitchens can be very sleek, but while a purely modern kitchen often celebrates structure and grid, a contemporary kitchen is often more playful in form and finishes, including elements of other styles and creating its own reflection of the times. The Craftsman style arose in the early 20th century as a reaction to the mass-produced fussiness of the Victorian era. This charming style comes from rich woods, built-ins, handcrafted tiles and well-made simplicity. Cozy, happy and unpretentious, a cottage kitchen harks back to simpler times and evokes a sense of easy, carefree living. Beadboards, soft colors, vintage hardware, wood floors, as well as colorful accents and curtains will infuse your kitchen with cottage comfort. Bring a little bit of Europe in to your home. Think intimate kitchen lighting, pretty cookware on display, tile floors and a striped awning. 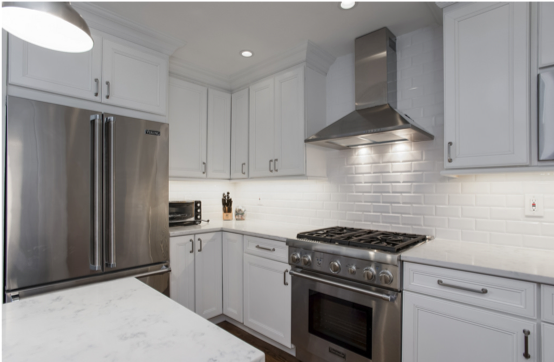 Think white or cream kitchen cabinets, simple architectural details and black accents. This backdrop serves as a blank canvas for owners who wish to incorporate smaller touches of contemporary, traditional and eclectic design elements. Mix and match to create your own distinct kitchen style. Be as rebellious as you please as you personalize your kitchen with a combination of elements from various different styles. Creating the perfect kitchen involves the right balance of function and gorgeous style. Bring your idea to a professional interior design + build team, and create a kitchen made to impress.